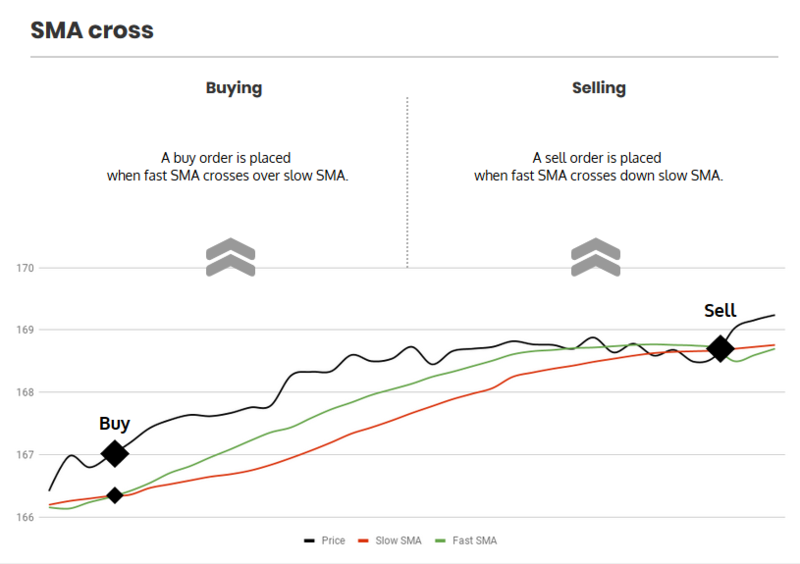 This strategy is based on SMA, enabling Gunbot to buy when prices start moving up – indicated by fast SMA crossing over slow SMA. Selling takes place as soon as fast SMA crosses down slow SMA. To refine this strategy, other indicators are available to be used as confirmation for both buying and selling. For example you could have Gunbot buy when slow SMA crosses up fast SMA and and RSI is below 30. Warning: This strategy has no GAIN protection. Be aware that this can lead to sell orders below your break-even point. Normal constraints like “buy once, sell once” don’t apply to this strategy: each time buying criteria occur, Gunbot will place a buy order as high as set in your balance settings.